Semiotics can be defined as ‘the study of signs and symbols and their use or interpretation’ (definition by Google). So basically, it’s the analysis of sign systems and how we use signs to display or understand numerous things ranging anywhere from emotions to directions. The main point of interest within semiotics is exploring the links between words, images and ideas. We are also interested in the links between language and image and how our understanding of this helps us create meanings for signs and symbols. An example of this is using colour to suggest emotions or character traits, for example the colour red indicates passion, warning and even war. Banksy, a UK graffiti artist, is well-known for using images and epigrams in order to produces pieces with dark humour within them typically related to politics. This particular piece is called ‘Follow your dreams’ and is painted in a low-income area within Chinatown, Boston. 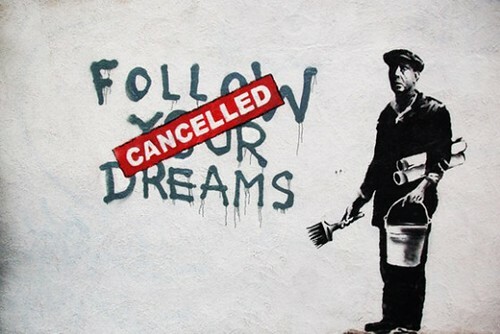 The piece shows a worn out male painter who has painted over the words ‘Follow your dreams’ with a cancellation sign. This signifies that the painter himself has given up on his dreams and is backed up with him looking worn out. Using semiotics we can look more into paintings by the use of colour, words and particular imagery; For example in this painting we can see the use of the colour black for the male artist which suggests death and is the symbol of grief. The colour navy denotes knowledge and power, and alongside the meaning of ‘Follow your dreams’ suggests that this man had his heart set on seeking the american dream in order to become something notable. The large red sign that says ‘Cancelled’ is red with white text, the colours white and red together in this piece connotes that the mans dreams have been boldly given up on and the use of red indicates warning and the white would indicate in this context that this is the honest truth. Applying this to a game character rather than an artistic painting would use colours to help portray a character. In this instance I will apply semiotics to Pikachu, a well-known character from the Pokemon series. 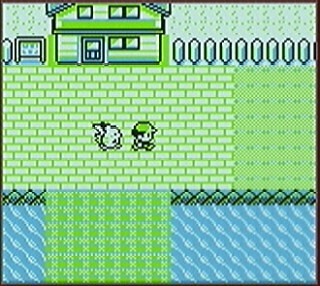 The yellow which covers 80% (a rough estimate) of Pikachu’s body suggests that Pikachu is a joyful, smart character with an energetic personality. 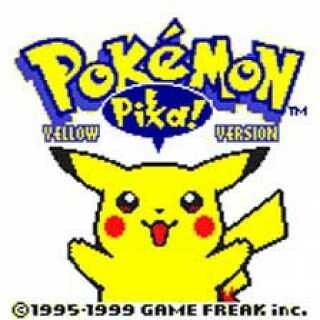 Yellow can also connote a different possible side to Pikachu, as yellow can indicate a warning or caution. With the use of red on his cheeks surrounding the yellow connotes passion and love, but again suggests war and danger. Finally, the brown on his body suggests stability and is seen as a masculine quality. All this evidence from a brief semiotic analysis, in terms of colour alone, suggests that Pikachu is a fun loveable character who can become hot-headed or slightly enraged but will always be a stable and kind character. 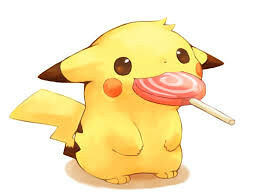 Just this analysis has allowed us to see what Pikachu is like before the character is animated and has made me think that in future when I design characters this is something I will use a lot within my designs. 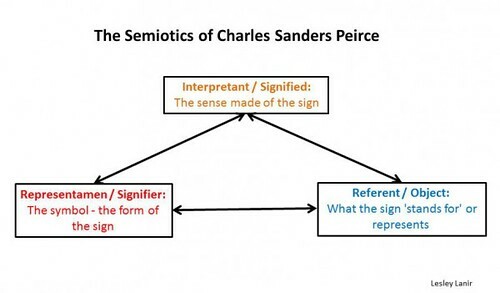 Semiotics is derived from the greek word ‘semeiotikos’ and thanks to thinkers such as Plato and Aristotle who began to think about the connection between language and its interpretation, has allowed us to know semiotics as we know them today. Plato believed that representation can be possibly taken the wrong way by creating illusions and that it was importance to monitor this or it could create antisocial activity and emotions. 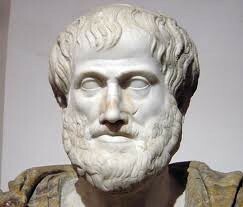 Aristotle thought it was important to imitate things as it allows humans to learn, even if its imitating animals. The object: The symbol being represented. Manner: The way the symbol is represented. Means: The material that is used to represent it. This dyadic denotes what Ferdinand thought about how an image can link with a meaning. 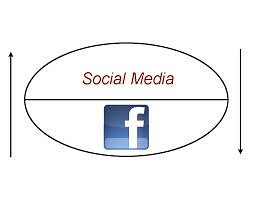 This iconic image belongs to Facebook and is the signifier as it is the material aspect of the sign. While it stands for an aspect of social media and a form of expression, so this would make it the ‘signified’ as it signified social media. An Icon – An Icon is an image, text, or word that physically symbolises something. For example on most software packages you are given a printer symbol which suggests you are able to print. An Index – An Index is defined by a sensory feature, for example dark clouds in the west indicate the possibility of rain. So to conclude my blog post, semiotics is the study of signs and symbols which allow us to identify and interpretate entities effectively. For my essay, I will select a cultural artefact and write a comprehensive analysis about it. I will be descriptive, analytical and interpretive the artefact in order to explain not only about the game itself but to voice my opinion through facts stated within the game. The game I have chosen to discuss is Bioshock Infinite which was developed by Irrational Games and published by 2K Games and released on the 26th of March 2013. 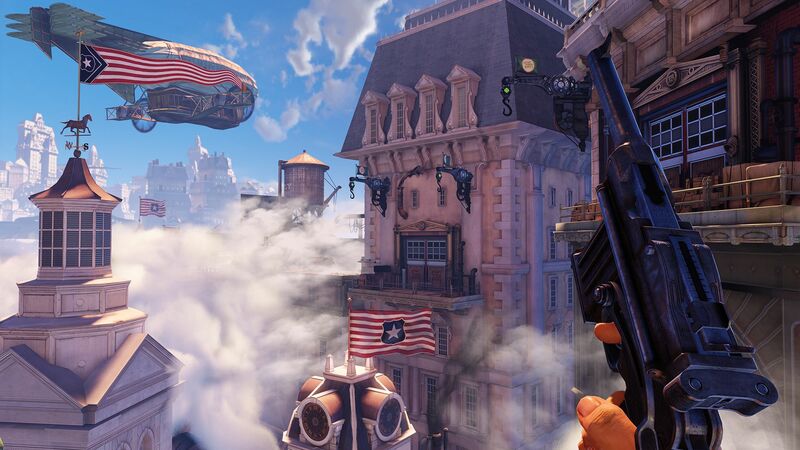 Bioshock Infinite is the 3rd instalment in its series, as previously to this game was Bioshock and Bioshock 2. 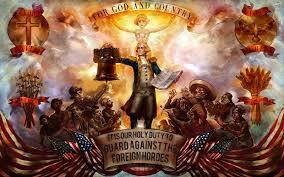 Bioshock Infinite is very different to its predecessors as it does not follow the same distinct storyline as the other two games in the series but shows similar aspects and referencing in order to class it as a Bioshock game. The game is about a protagonist called Booker DeWitt who ventures through a ‘Utopia’ which happens to be a floating castle in the sky called Columbia. He is looking to find a young lady called ‘Elizabeth’ in order to hand her over in order to pay off a debt, but all is not what it appears to be. The main setting of Bioshock Infinite is within this ‘Utopia’ which is displayed in all ‘dream’ like colours (Blue and white shades) to suggest this is a heavenly place to be. This is backed up by the environment being a castle in the sky. The environment is seen as aesthetically pleasing as well as surreal. While this is not actually the case, as within the game the characters have created a Dystopia as they are unpleasant, cruel and considerably racist. There is a wide spectrum of constant factors of the 19th century within this game but my main focus is to the theme of racism. 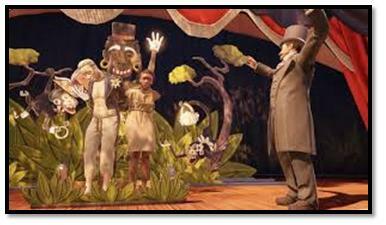 In this ‘Utopia’, you are asked to throw a ball at an interracial couple. This current scene is iconic as it happens really early within the game, and was used to signify how bad racism was within the 19th century. This really does dive into history as the game is set in the year 1893, back in an era where coloured folk were seen as unequal and unworthy by that society. Looking at the background of this photo, the ‘set’ was set up like a wedding but what is most notable is the two ‘monkeys’ in the background. The reason this is notable to mention is for a large portion of history, coloured people have always been compared to monkeys and for some, this gave them an excuse to use them for slavery due to comparing them to animals, which again were ‘unequal’ to the white society. All these factors are deemed reasonable enough for this white male (within the picture) to be abused publicly and out cased from society for having an interracial relationship. The main topic of CATS Lesson 2 was an introduction to Analysis. During the lesson, we gave feedback about the homework we were set the lesson previous, this was just a list of keywords that we had to define. We watched a short clip from the film ‘2001: A Space Odyssey, 1968’ which was produced and directed by Stanley Kubrick and Co-written by Kubrick and Arther C. Clark. It is a Sci-fi film which was described by film critics as an ‘epic film’ and ‘the most dazzling visual happenings in the history of modern picture!’ by Time Magazine. The film is about the ‘vision’ of technological evolution in the future and how advanced it has become whilst also dealing with human evolution, Artificial intelligence and extraterrestrial life. Within our group we were told to analysis the film clip and to give our opinion using particular keywords, the keywords I obtained were ‘Sound, Time and Movement’. For Sound we decided that within the clip, we were drawn to the AI’s monotone voice and how expressionless it was. This was a key factor of the clip as it made you feel as if the AI was near human but was as if it was a child, making decisions without knowing the consequences fully. This was backed up within the clip as the AI was singing to ‘Dave’ as he was being deactivated as a child does not anticipate nor fear death, so overall this scene was very emotional despite contrasting with the AI’s characteristics as he is a cold, hard emotionless machine. Discussing the keyword ‘Time’; we as a group established that Dave seemed rushed and scared but the AI seemed patient and calm, again showing his lack of human emotions to respond to a situation which results in his demise. Finally, we all concluded that the clip was slow and the atmosphere slowly changed for me in terms of establishing split emotions for the AI and Dave, as Dave was terrified and wanted to end the AI quickly to end everything yet the AI was ‘childlike’ despite being an emotionless machine which gave you empathy for the role he played; so balancing the time correctly within this scene was important in order to make you feel for the characters and what was happening. So I’m going to jump into this a little, but what are the factors of a design process and how can we understand them in order to apply them effectively? Well, lets start at the beginning. There are no two same designs processes but each design process follows a distinctive basic layout in order to structure our own design process. We have come to the realization that every project is the same, obviously disregarding the subject of that project, but when it boils down to it each subject really is the same but what makes it worthwhile is the evolution of our own design process by a series of trail and error and research. By allowing our creative design process to grow is allowing our potential to grow in order to apply ourselves and generate ideas in hope to create something we deem ‘good enough’ for ourselves or our client. Design development and experimentation – Testing, observing, researching and developing ideas! Evaluation – allows room for self-evaluation as you will notice your mistakes or what you like within the final project, this would allow you to improve in the future! To discover my design process, I will use my blog so that I can reflect on my work in order to see what my design process so that in future I will know my own process and that it wont appear to be so ‘random’. The first lesson of the day and we get still life! How amazing is that! The reason I love still life as it allows you to draw an ‘everyday’ object and make it look really good using perspective drawing and being able to draw correct proportions . I am familiar with a few artists such George Lance and Mary Cassatt who were both 19th century still life artists. The reason I like these artists is due to how they manage to capture life and how they transfer it onto canvas. George Lance is rather literal when it comes to his paintings but they are, in my opinion, aesthetically pleasing as they seem so surreal, while Mary Cassatt has a more simplistic style. In comparison to George Lance, it is not as detailed as his paintings yet I enjoy not only how she captures the human face but also how she manages to tell a journey through her work. She captures all different aspects of life using an abundance of colours and textures. I idolize her work as she uses her skill of perspective drawing so naturally and is able to create some amazing pieces using this technique. I want to be able to work on my perspective skill as last week we had a lesson on the basics of perspective drawing and how we could apply this to our work more effectively. I had hoped to enhance my current ability by practising this during this lesson. 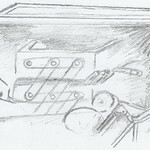 I decided to focus on a snapshot of my still life set in order to focus more on the single object as I thought this would give me time to practise drawing in perspective so that I could grow more comfortable with the technique in order to apply it to more complex models. 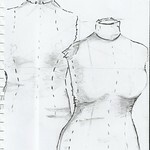 This was a result from drawing one of the two tattered mannequins that was within the still life set. For this drawing I used a HB Pencil and a black fine liner, and this was my result. I thought it went pretty well considering I was experimenting with perspective drawing and contour lines in order to create a 3d model on a 2d plane. This was the second image I had attempted, it was of a small box filled with random things such as art supplies. I found this more difficult to attempt as it had various objects within the box and for some reason this began to complicate things. I think I began to feel less confident with my snap shot selection of the image due to not being comfortable with drawing multiple objects in a 3d perspective. I think in future I need to practise this more in order to grow more comfortable as this is something I will need to be able to produce designs with more than one object in. The class was overall amazing and allowed me to notice my strengths and weaknesses in order to improve my work in general. This will work as a strength as I will be able to apply myself effectively where needed in order to improve. The artist I have chosen to look into for my 3D artist inspiration is Gavin Goulden due to how inspiring his work is to me. I have previously written about Gavin during my ‘3D Artist’ post as I was researching into artists that have shipped games and looking in depth at some of their work. I made the decision to look into Gavin’s work in particular because of my keen interest for digital sculptures and hope to begin practicing myself in order to hopefully learn some of the skills and techniques he uses to create such beautiful pieces. For my class project we have been asked to create a 3D model, I have made the decision to create a character designed by myself using Gavin’s style and influences from his work for inspiration in order to create a clay model of a character (from the bust up). 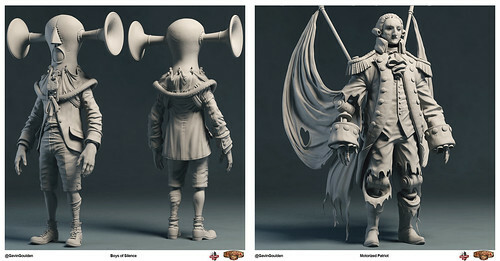 Gavin Goulden has inspired me to look at the steam punk fashion and implement it into my character design due to his designs within Bioshock Infinite, such as the motorized patriot and the boys of silence being something that I want to bring into my work due to their unique style. Another factor of Gavin’s work I find admirable is his range of character designs and how he breathes life to each one (in regards to personality using visuals) despite the contrast in each character, an example of this would be his Captian Beefheart in comparison to his character designs from Dead rising 2. Wanting to find out more, I decided to reach into ways that I may be able to contact Gavin Goulden; which to my delight I discovered he had a Twitter account! Confronting an inspirational figure is NOT easy (as I quicky discovered) so I decided to ask him about his work flow and inspirations. He responded to my tweet with information explaining his work flow and a list of people who have inspired him over the years. I will compose an additional blog post regarding information which Gavin provided to me once I have looked at his inspirations myself. Futhermore, I will compose within that blog post concept designs of my character as well as a draft clay model of the character so I can get used to using clay (due to it being my first time using clay properly). Finally, the topic I have been dying to see emerge! Due to being a personal interest of mine for many years, I have always been the observer and never the artist when it came to any artistic endeavors within Photoshop which normally ended with very disappointing results. The lesson was amazing as per usual as not only did I find myself fully immersed but I learned the basics of Photoshop which has allowed me to begin to create images of my own. Looking at Photoshop more closely its easy to see why it is one of the most widely used pieces of software used within a huge rage of industries. Using Photoshop since this lesson has allowed me to introduce colour to my sketches which has made my work look more professional and presentable. Gareth spoke to us about the difference between scanning an image at 72 DPI and scanning another in 300 DPI. The difference between these is how you intend to use them, so in general terms 72DPI is great for web as it loads fast while 300DPI is better for print because it helps retain quality when printing images. If a 72 DPI image was used for printing, then the image would look poor due to looking pixellated hence why more pixels are used in order to give more detail. We also discussed the difference between a vector and raster (also known as bitmap) image, but I found my original definition of this to be completely wrong so I decided to look up the difference between the two. After researching this, I discovered there are several differences about raster and vector images. Firstly, A vector image uses mathematical formulas in order to calculate curves and lines. This implies when the image is stretched it will be able to calculate where the additional pixels will go in order to recreate the original image despite its change in size. 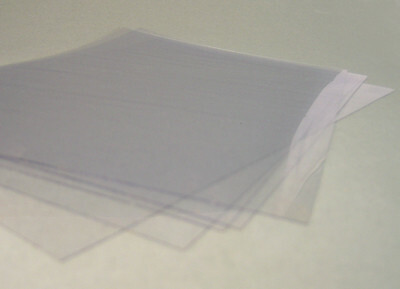 With a raster image, individual pixels are used in order to create an image and when you zoom into a raster image you can see the individual pixels used within the image. There are a range of advantages and disadvantages between each such as due to raster images using mathematical formulas in order to create an image, the file size is generally a lot smaller than a raster image. While on the other hand, raster images can be considered better as they work better on the web than vector images do. Within Photoshop, we looked at a range of tools that the software had to offer. After this, we look at transformations and adjustments. Using transformations in Photoshop allows us to change the shape and orientation using a range of tools such as free transform, rotate, distort, scale and warp. 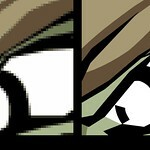 As for adjustments, it allows us to tweak the image using tools such as curves, brightness/contrast and hue/saturation. Using all these tools effectively allows us to manipulate the image to meet our needs and proves useful to many Photoshop users and artists. For example whenever we adjust the hue it allows us to alter current colours by using from a wide spectrum of colours, so you could change your red hat into a blue hat by simply using this tool. Here is an example of adjusting hue I found on Google images which is being shown in an older version of Photoshop, but still shows you the idea behind hue. Marquee tool – allows you to copy and paste sections which you select, this is also known as the lasso tool. Cloning tool – Allows you to select an area and to blend the selection into a dedicated area. This is good for things such as blending an area with a texture. Dodge and Burn tools – allow you to alter exposure and create shadows or light to your image. 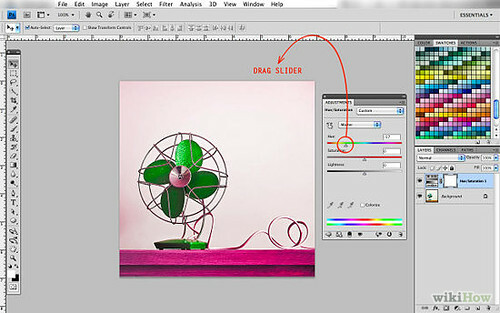 Add/Subtract selection tool – Allows you to alter your selection without having to click off the image. Distort tool – Allows you to change the perspective of an image. Hope this helps you as much as It helped me! One of the first lessons I have learned during my first full week of this course is C.A.T.S (Critical and Theoretical Studies), is not ‘easy’ or ‘simplistic’. In fact, It was so crammed with weird words, theories and information I am perplexed with how I am to present this information to you all, but I think the best start would be from the beginning so here goes. Firstly, we were given a briefing to what effects games design and game play. Some of the ideas put forward to answer this was the games narrative and story, The immersion and environment and finally the interactivity, creativity and flow. Going slightly off topic yet relevent to the point, I had previously conversed with a close friend about the topic of ‘flow’ and its meaning. Quoted from his WordPress blog, he described flow as ‘Flow is the state of mind the individual enters when they have acquired a high skill level within an activity and there is a high challenge present for that individual, meaning they becoming utterly focused on the task in front of them and they have to concentrate entirely.’ I found this idea interesting as it is something that has happened to all of us at some point but I had never really heard of the theory or terminology for the subject until recently. After this small discussion we were asked to watch a video by Kevin Kelly which he spoke about his opinion on technology. Kevin Kelly spoke about comparing technology to biological organisms and he uses this comparison throughout the majority of the video. He asks ‘What does technology want’ (Which again, he is applying technology to a biological organism). He spoke about how we all started at the same point yet diversified later on to make ourselves unique just as technology has done over time. He noted that resurrecting old ideas is of vital importance which reminded me of something one of my teachers spoke of during my first week of University which ran along the lines of ‘In order to look forward we must look back’. Basically meaning that in order to make something we have to look at our mistakes and achievements in order to create something which will not only function but work effectively. Kevin Kelly said that ‘Technology never truly dies and information truly never disappears’ which I believe to be true as if you look at games controllers over time they have not ever ‘disappeared’ as they have always been improved on by looking at past controllers although you can still note some of the similarities with todays controllers. Kevin Kelly spoke about his thoughts on how fast technology is evolving and how he believes that it is accelerating evolution. He feels as if every person who is able has an obligation to create new freedoms of expression by creating technology. I found this ironic because he spoke of ‘freedom’ throughout his speech, yet in order to have our freedom we are obligated to provide in order to obtain it yet showed fact as we are expected to help evolve current technologies in order to keep them evolving at its current rate. I believe that people should earn and fight for what they want, technology and freedom of expression included, so that if we want better and more efficient ways of expression through technology then we have to be the ones to pay for it in order to better ourselves. Here is the video that I spoke of within this post, Have fun watching and I hope you are moved by this individual. 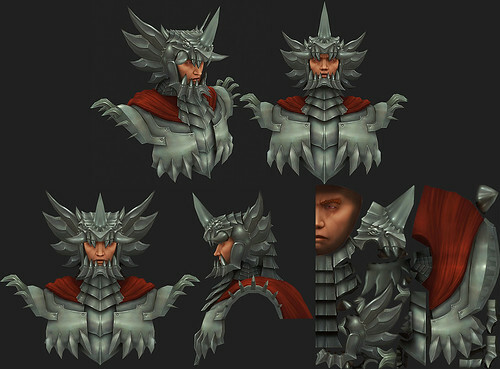 So, last week I was asked to look into some 3D artists and to select the one I wanted to pursue. I ventured into finding artists that were inspirational to me yet had also shipped games. 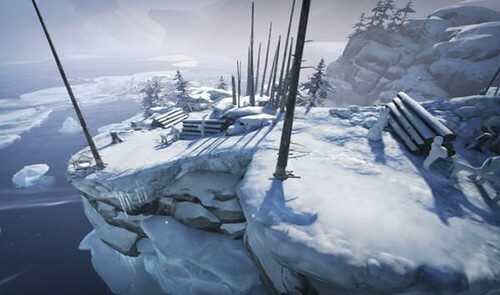 The first artist I discovered was Claes Engdal who worked on the environments and textures for many games, in particular ‘Brothers – tale of two sons’. The reason I love the works by Claes Engdal is how surreal his environments look and how easily you can become confused between fantasy and reality if you were to play in one of his many environments. Another artist I found while researching was Simon Pennington who specialises within 3D characters and environments. He has worked on a few triple A games such as ‘Medieval II: TOTAL WAR’ and ‘Halo 4 – Crimson DLC’, The reason I liked this artist was the range of skills and styles he shows when creating a wide variety of things, for example the two images below show two different types of required skills and styles needed for each environment/character. What I found most inspirational about Simon was his ability within UDK, which he used to create a sea defence. 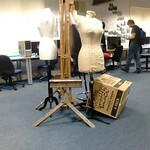 I was really blown away at his capability to create something which was almost lifelike within a matter of months. He wrote that this was an ‘exercise in cliff sculpting and water shaders’ which I personally believe he nailed everything he was possibly aiming to achieve as the result of his project was amazing. My favourite artist that I stumbled upon was Gavin Goulden who worked on many hit titles including Bioshock Infinite, Dead rising 2 and Dragonage origins. He is an amazing character and weapons artist who keeps his website posted with up to date digital sculptures and uses the website as a platform to promote himself. I really like this artist in particular due to his unique style of the characters he creates, as to me they all express different personalities and look as if he is bringing his ideas to life through digital sculpturing and his final character designs. Looking at Gavin Goulden’s work has made me want to research further into digital sculpturing and hope to create something of my own this year which I could possibly use within this current module. These are my reasons to why I have selected Gavin Goulden as my chosen artist and why I am to use him as inspiration for my clay sculpture of a character that I am to design. I hope to use the key features from Gavin’s work to influence my sculpture and I will create a small portfolio of how I used his work within my final piece. 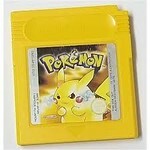 Introduction to Games Design>History of Games Design>New topic! 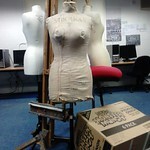 I was given a ‘lens’ in order to diversify the class so each persons work would be different. I am to incline my work towards Game Art/Aesthetics/Trends while creating my history of gaming timeline. 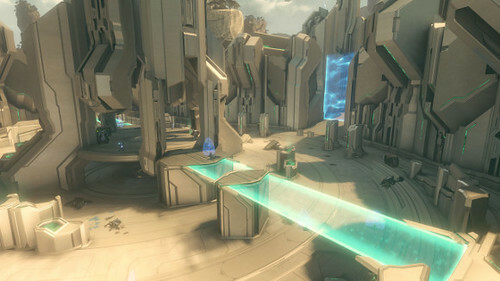 I am excited to explore this particular theme because I have a large interest in the graphics and designs within games. For game art, I will research not only games that have interested me in terms of their visual appeal but look outside of the box and look into new styles of game art and enhance my knowledge of current and new game artists. For Aesthetics I will explore the definition of what the word actually means in order to gain a solid understanding of its meaning. I will research a range of aesthetics and how they apply to the graphics of games. Finally, I will talk about the ‘Trends’ within the physical design and how they repeat themselves over a set period of time and I will talk about the reasons why this occurs. 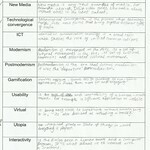 For each of the subjects I will give a thorough explanation, retentive images and links as well as my opinion on each. I will begin my research sooner rather then later as this subject seems interesting as game art in general is something that intrigues me. I will post all my research and finding within my next post so watch this space.